Such a simple word, with so many different interpretations, layers and lineages. To many newcomers, this four-letter word can evoke visions of impossibly bendy people in impossibly tight clothing, sauna-hot rooms or perhaps even chanting in a language that is as foreign to you as the thought of putting yourself into a headstand. The truth is, while some of these perceptions may occur in some form or another from studio to studio, the scope of the yoga experience is so much more expansive than fancy leggings and playing twister with yourself. Once you find the courage to put your comfy clothes on and land your bum on a mat, rarely, will you ever look back. Because the MORE inflexible and restricted you are, the more you are going to love it; and that goes to men and women alike. Same goes for the stressed out, over-worked and highly-strung. Although you might remember these words with great distaste as you struggle your way into your first forward bend, or move with the greatest unease through Half Moon; the after-glow and internal spaciousness that you experience each time you leave the studio is more addictive than the finest of chocolate. Before you know it, you’ll be bending forward that little bit deeper, surprising yourself & realising what your physical body might just be capable of. You might fidget less, stand taller, breathe deeper, sleep better and perhaps… even find yourself looking forward to balancing on one leg with your new-found poise and focus. 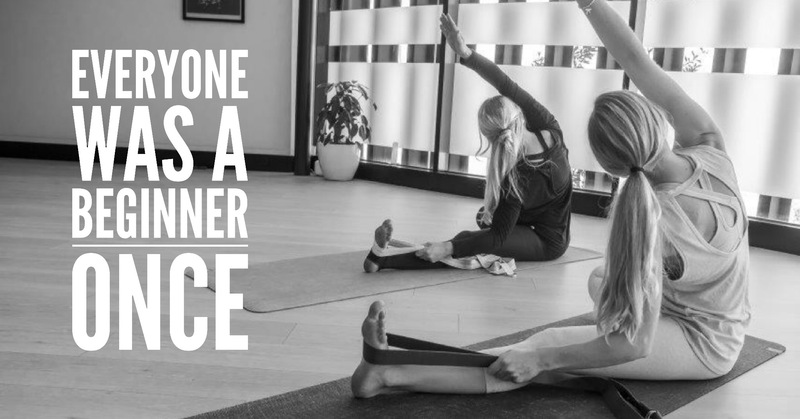 Each time you land on your mat, your experience will be as new and unique as the most experienced yogi. There are endless doors to open, physical boundaries to break though, emotional growth to explore and fun to be had!